Parents often say, '"My child is in second grade and he already knows how to read, why should I read to him?" 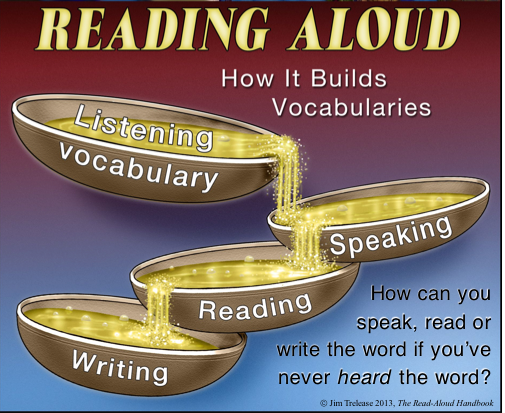 And I reply, "Your child may be reading on a second-grade level, but what level is he listening at?" Think about the language, the content and vocabulary level of the books your child reads to himself. new thoughts, new adventures and new lands that can be experienced through listening and hearing stories beyond their reading level. Although, your child may be very successful there are some specific effects of Hearing Loss you may want to review again. Specific Effects of Hearing Loss for Children from the American Speech Language and Hearing Association (ASHA). Vocabulary develops more slowly in children who have hearing loss. Children with hearing loss learn concrete words like cat, jump, five, and red more easily than abstract words like before, after, equal to, and jealous. They also have difficulty with function words like the, an, are, and a. The gap between the vocabulary of children with normal hearing and those with hearing loss widens with age. 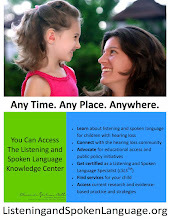 Children with hearing loss do not catch up without intervention. Children with hearing loss have difficulty understanding words with multiple meanings. For example, the word bank can mean the edge of a stream or a place where we put money. 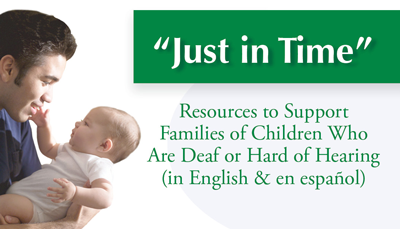 Children with hearing loss comprehend and produce shorter and simpler sentences than children with normal hearing. Children with hearing loss often cannot hear word endings such as -s or -ed. This leads to misunderstandings and misuse of verb tense, pluralization, nonagreement of subject and verb, and possessives. 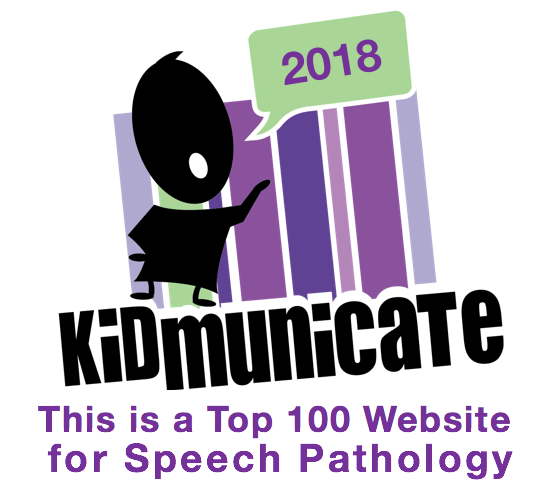 Children with hearing loss often cannot hear quiet speech sounds such as "s," "sh," "f," "t," and "k" and therefore do not include them in their speech. Thus, speech may be difficult to understand. Children with hearing loss may not hear their own voices when they speak. They may speak too loudly or not loud enough. They may have a speaking pitch that is too high. 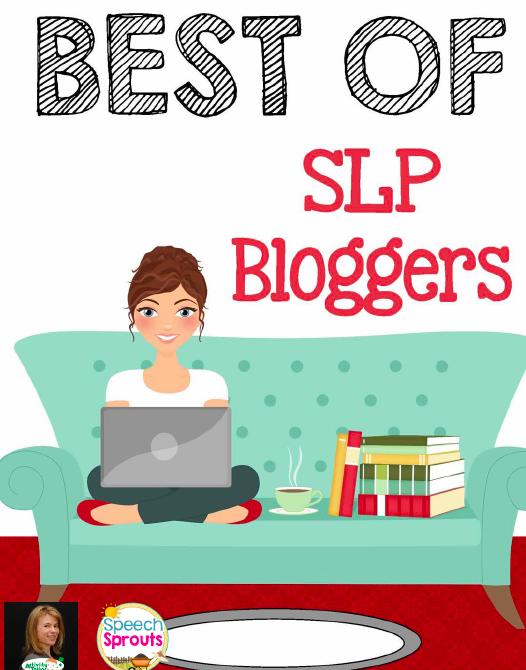 They may sound like they are mumbling because of poor stress, poor inflection, or poor rate of speaking. Children with hearing loss have difficulty with all areas of academic achievement, especially reading and mathematical concepts. Children with mild to moderate hearing losses, on average, achieve one to four grade levels lower than their peers with normal hearing, unless appropriate management occurs. Children with severe to profound hearing loss usually achieve skills no higher than the third- or fourth-grade level, unless appropriate educational intervention occurs early. The gap in academic achievement between children with normal hearing and those with hearing loss usually widens as they progress through school. The level of achievement is related to parental involvement and the quantity, quality, and timing of the support services children receive. Children with severe to profound hearing losses often report feeling isolated, without friends, and unhappy in school, particularly when their socialization with other children with hearing loss is limited. These social problems appear to be more frequent in children with a mild or moderate hearing losses than in those with a severe to profound loss.